This superbly presented and most spacious 5 bedroom detached house has accommodation set over 3 levels briefly comprising reception hallway, downstairs cloakroom/w.c, sitting room, a quality modern fitted kitchen/diner with built in appliances. 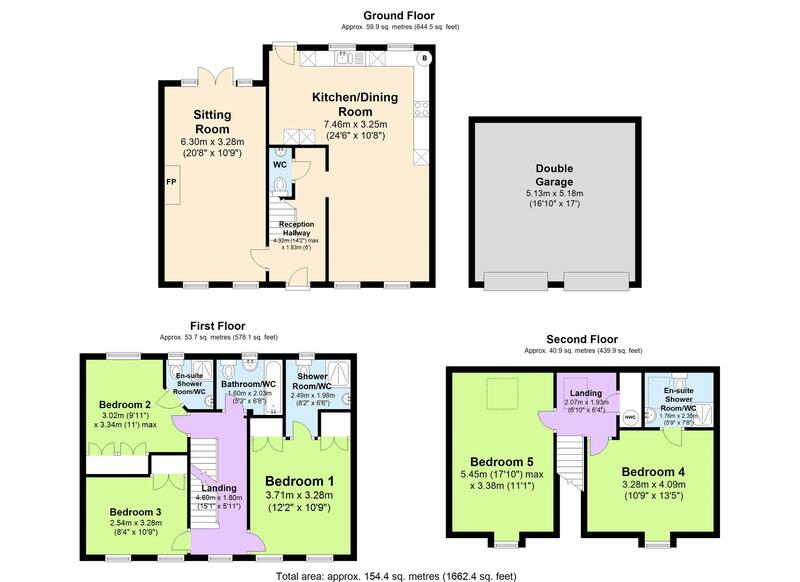 On the first floor there are 3 double bedrooms, 2 with en suite facilities, and a family bathroom/w.c. 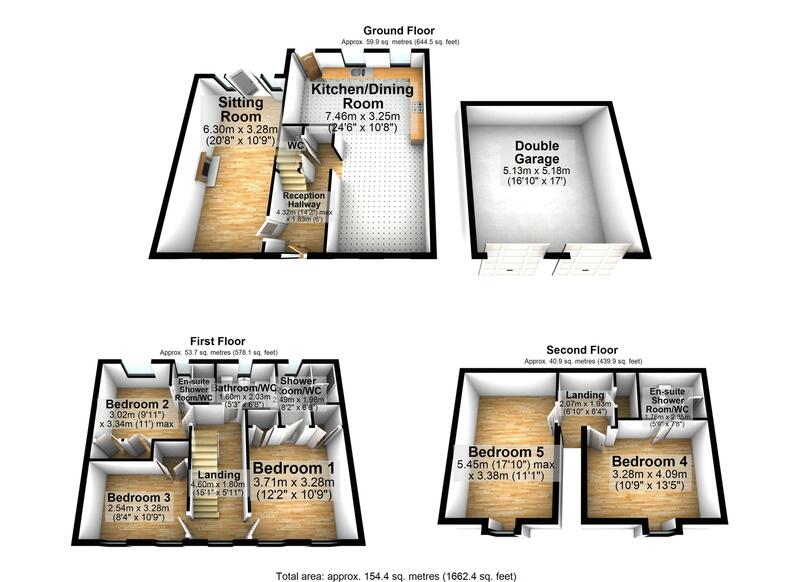 On the second floor there are 2 further double bedrooms with 1 having en suite shower room/w.c. Outside to the front of the property there is a double width driveway parking which leads up to the detached double garage with 2 up and over doors and steps giving access to the front door. An enclosed rear garden which is laid out over two level terraced sections that offers a good deal of seclusion and enjoys a southerly aspect. Located on the popular willows development which is conveniently positioned for the Wren retail park for Sainsburys, Marks & Spencers etc, also within close proximity to Torbay hospital and Torbay grammer schools. The bypass is within a close proximity which makes easy commuting to Newton Abbot and Exeter beyond. The property is offered with vacant position and an internal inspection is essential to appreciate the size, position and condition the accommodation boasts.